The things we do for LLAMA LLOVE! 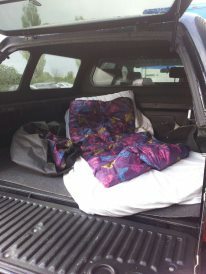 Camping out with our trekking boys in the back of the pick up at the BAS National Show……. all in the name of LLAMA LLOVE!